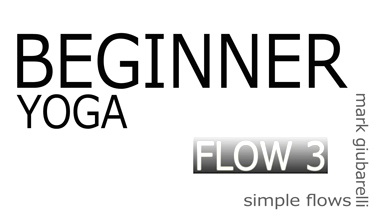 Are you a beginner in yoga? Where do you start and what should you learn when beginning a yoga practice? It is often good to learn about the yoga postures first. Usually a good starting point is Tadasana a pose called the Mountain pose because many of it’s fundamentals can be applied to other yoga poses. When learning beginners yoga and where you should start sometimes you must first learn what you should not be doing if you are a yoga beginner and you have a injury. You may want to avoid aggravating the injury and many yoga teachers may not know how to deal with your injury as they are not trained as physical therapists or doctors. Here are some useful tips worth reading in avoiding aggravating common injuries. Learn yoga with these basic yoga poses you will find in every yoga class. There are some tips on how to do these beginners yoga poses better and how to avoid injury. Use the fundamentals of injury prevention to prevent injury from occurring when you attend yoga classes that are not for beginners. See more about beginner yoga positions. The first version shows a light raise in the spine. The arms are bend so that the spine does not have too much pressure. This is a good option if you have an injury or if your spine in very stiff. If your arms fatigue you may want to walk them out a little and straighten them. This version is very deep for beginners in yoga so only straighten this much is your spine is healthy and flexible. Cobra pose obviously increases the flexibility in the spine. This must be done lightly to protect your spine. If you engage back muscle Cobra pose can strengthen your back to but it can also make breathing hard in the pose as the lungs are already restricted. When done correctly Cobra pose can also heal disc problems and allow better energy flow along the nerves which is often obstructed by damaged or inflamed discs. See yoga for back pain. See Our entire asana library and print asanas pictures.